Stress in the workplace is devastating. Regardless of the factors causing stress at work is very important to develop ways to manage stress to be creative and productive for us. It is unrealistic to believe that we can live without stress. The aim of stress management is not to stop worrying and care about everything (so that we can avoid stress) but to learn to keep our self relaxed and under control. In recent decades the word stress has entered our vocabulary for good, describing the fatigue, discomfort and pressure we are experiencing in our daily lives. The difficult working conditions, the financial difficulties, and the small or big personal problems of each of us became our personal load that we are forced to carry every day. Stress in workplace arises when we realize that the tasks we have to undertake in our work are greater than what we can handle. When the stress is intense and lasts for a long time, we begin to develop various symptoms that warn us that something is amiss. The most typical symptoms (signs) are the following: intense irritability, anxiety, uncertainty, difficulty in sleeping (insomnia), memory disturbances, tremor in the hands,headaches, abnormally tense muscles (particularly in the neck), nausea, tachycardia, intense sweating, dizziness, trends faint, and others. The reasons why there are high levels of stress in the workplace especially the last two decades are a lot. The workplace now requires from the employee to be highly efficient and productive. The worker is working under very demanding conditions. Moreover, in reality the work is the instrument for acceptance and recognition of the adult person, that’s why it plays a very important role in our lives. The importance of work becomes more easily understood if one considers the high levels of unemployment and its impact on the lives of individuals. Factors such as poor lighting, high noise levels, inadequate ventilation of the area, bad architecture and ergonomic arrangement of space, etc. has found that they can have a significant impact on the health of the workers and are often a cause of accidents. Working parameters such as work schedule, night shift, work and career insecurity, possible reduction in pay or working hours, poor working position, can increase the stress levels in the workplace. 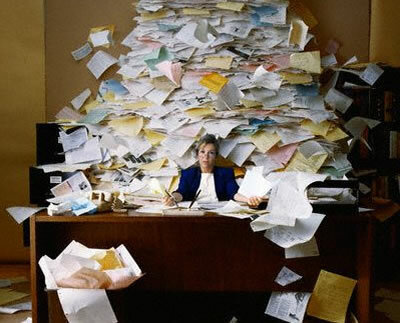 The workload is one of the key factors that can cause stress. Research has found that workers who have to work longer hours and have to undertake many tasks simultaneously are more likely to turn into harmful to the health habits (smoking, alcohol use, etc.) and they are more at risk to become sick than workers that have not been overloaded. Conflict of roles / ambiguity of roles. Conflict of roles is defined as the situation during which the worker receives conflicting and ambiguous messages in connection with the duties of his/her work from different people at the same time. Ambiguity of roles is the situation during which the worker is unaware about the exact responsibilities and what is expected from them at work and what are the criteria for their assessment. In addition the inability to take initiatives in the workplace reduces job satisfaction and increases the rates of sick leaves. Factors related to interpersonal relations in the workplace. Employees who because of the nature of their work are unable to communicate with their colleagues are not usually satisfied with their jobs. The National Institute for Safety and Health at Work has issued a list for the impact of poor working conditions on the health of the workers. These include cardiovascular diseases, respiratory problems, cancer, and disorders of the reproductive system, hearing problems, dermatological diseases, psychosomatic problems, accidents and exposure to hazardous substances. Problems of psychological nature such as depression, severe anxiety and nervousness, weakness of concentration, emotional-out, low self-esteem. Problems identified in behaviour, such as frequent absences from work, increased smoking, increased consumption of alcohol or psychoactive substances and drugs, aggressive behaviour towards colleagues, propensity to accidents. Regardless of the factors causing stress at work is very important to develop ways of managing stress to be creative and productive for us. It is unrealistic to believe that we can live without stress. The hierarchy of obligations will help you manage stress better. Admit your own unique requirements. It is good to be able to identify situations that can create you tension and anxiety and to take preventive measures to manage them or even to completely avoid, if possible. The sleep allows the body and our mental world to relax from all pressures to which they are put daily. Regular exercise helps to combat and reduce stress. Eat healthy; avoid fats and consume enough fruits and vegetables. Coffee, alcohol and smoking increase the levels stress. Get trained in the implementation of relaxation techniques. Sports and music can make us relax. There are other relaxation techniques like deep breathing, the yoga, the massage, muscle relaxation techniques, the meditation that help reduce the intensity of symptoms but also in the preparation of the individual to identify them from their initial stages. A common characteristic is that the person, with continuous training, acquires the habit to think and act more calmly and functional. Seek help from family, friends or colleagues. In cases of chronic stress the assistance from friends and family may not be effective. In that case you need the assistance of a specialist. The specialist – in addition to the relief from stress can offer you the possibility of a personal self-journey with the ultimate objective of personal success and self-esteem. In order to manage stress and do the workplace more comfortable and functional, learn to express your opinion decisively to resolve any excessive demands, discuss the problems with the head of the department and behave to your colleagues with respect and sensitivity, as you would like them to behave. Finally, a good solution is to throw away from your desk what you do not need because the mess is a cause of stress. Also, there is no harm in using game breaks in the office for relaxation. And remember that family support, support from friends and avoiding bad habits such as smoking and alcohol, only good can do for you. The aim of stress management is not to stop worrying and not to care about anything (so that we can avoid stress) but to learn to keep our self-relaxed and under control.